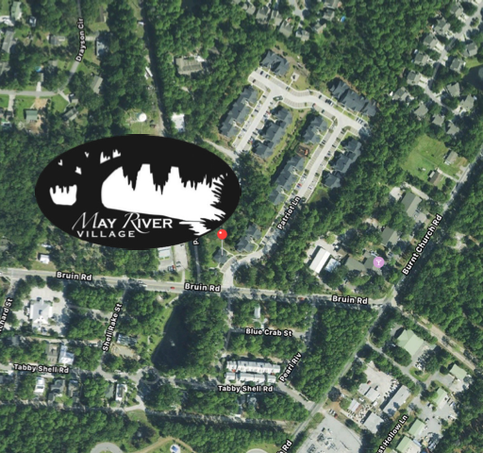 May River Village is located near Old Town Bluffton on Bruin Road just west of Burnt Church Road. From Highway 278 - Turn south on Burnt Church Road, travel approximately 1 mile then turn right (west) on Bruin Road. May River Village is just ahead on the right (north) side of Bruin Road. From Highway 46/Savannah - Travel east on Hwy 46 to the 4-way stop next to NicklePumpers. Go straight through the intersection and travel 1/4 mile. May River Village will be on your left.